Anita Clark is a partner with Terrell Hogan and has been one of the asbestos trial attorneys since 1990. Before becoming a lawyer, Anita practiced nursing for several years, specializing in critical care nursing. She served as Critical Care Clinical Nurse Specialist in a large teaching hospital in California, participating in research and supervision of education for critical care nurses. This experience resulted in two publications of her own research in a very prestigious medical journal. Anita was also an Assistant Professor of Nursing at two universities and voted teacher of the year by graduate students at the Medical University of South Carolina. 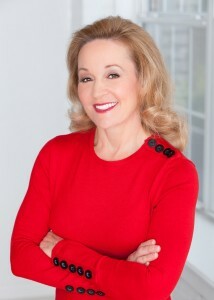 She maintains her Florida and Texas nursing licenses and has been a featured speaker at many nursing programs. Anita is also an accomplished trial attorney. She has published in legal journals and argued before the Florida appellate court. She is a recognized leader in legal organizations. Anita’s trial work has led to numerous multi-million dollar jury verdicts. Outside the courtroom, she has also been instrumental in successfully negotiating multi-million dollar settlements for her clients. With her degrees in law and nursing, Anita serves as a powerful advocate for those who have been wrongfully injured. She has represented victims of asbestos exposure diagnosed with mesothelioma and lung cancer for more than 21 years and has also handled other complex products-related litigation. Pryor, A. (2009). Asbestos Victims Are My Business. In R. Sax (Ed. ), Reaching The Bar: Stories of Women At All Stages Of Their Law Careers, (pp.157-160). New York: Kaplan Publishing. Pryor, A. (1983) The Intra-Arterial Line: A Site for Obtaining Coagulation StudiesHeart and Lung, 12 (6), 586-590. Pryor, A. (1984) Blood Cultures Withdrawn from Arterial Lines. Heart and Lung, 13 (3), 311-312 (Abstract from Poster Presentation). Owens-Corning Fiberglas Corp, Petitioner v. Bill Parsons, as Circuit Judge of the Fourth Judicial Circuit and Ronald W. McAllister, as Personal Representative of the Estate of Linda S. McAllister, Respondents, 644 So.2d 340; 1994 Fla. App. (filed November 1, 1994).